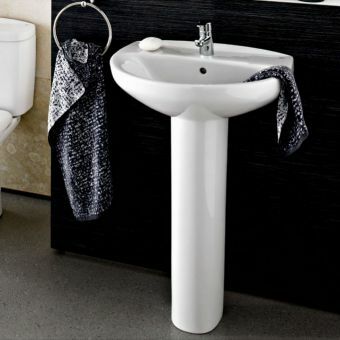 Artistically realised by master craftsmen at Britton, their Freestanding Basin with Integrated Pedestal is a stunning piece of interior ware. 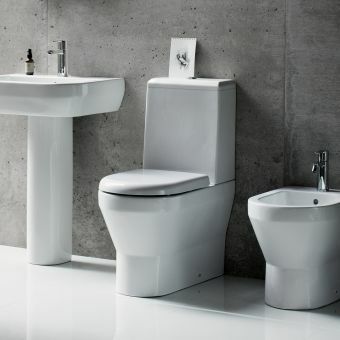 Tailor made for the luxury, contemporary bathroom with a defined sense of style. 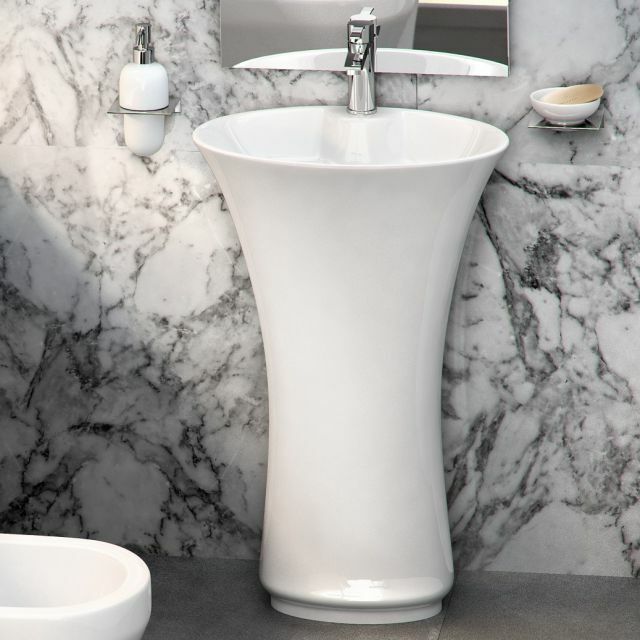 Created in a sculpted, vase like motif, this Freestanding Basin is made from the finest vitreous china, giving it strength and shape alike. 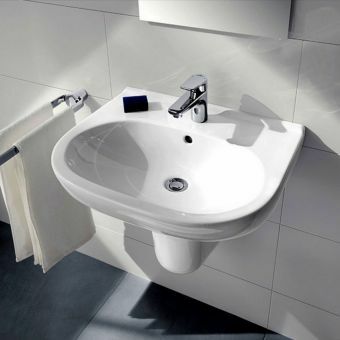 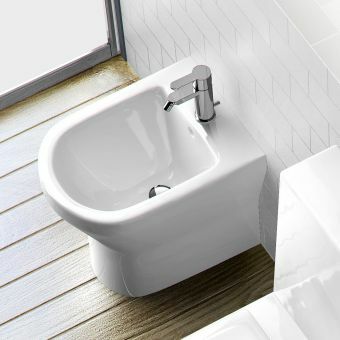 Drawing heavily from European design movements, it offers a fresh and exciting twist on the humble basin, while offering the user every convenience expected of an expertly designed product. 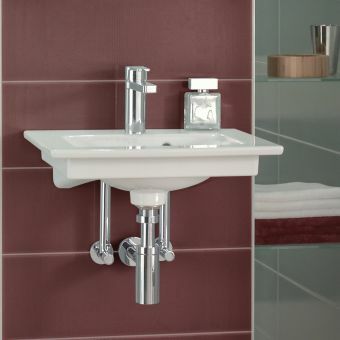 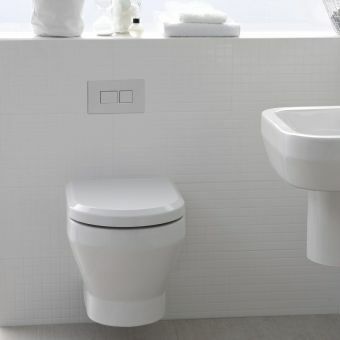 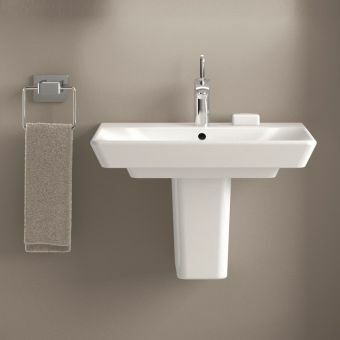 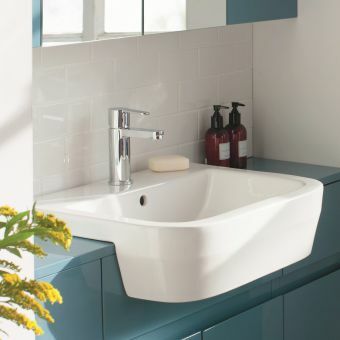 Fitted with a single mixer tap, this pedestal basin acts as a feature in its own right. 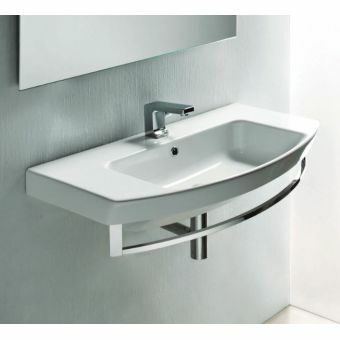 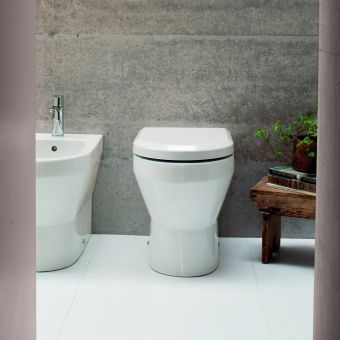 At 859mm in height overall, it has an impressive presence that adds a graceful stroke to the bathroom interior. 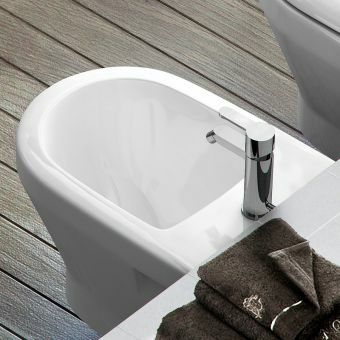 This basin comes with no overflow, and requires an unslotted waste. 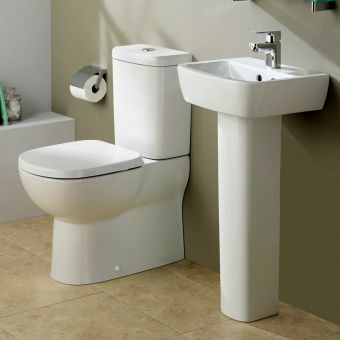 A 25 year guarantee is supplied as standard by Britton. 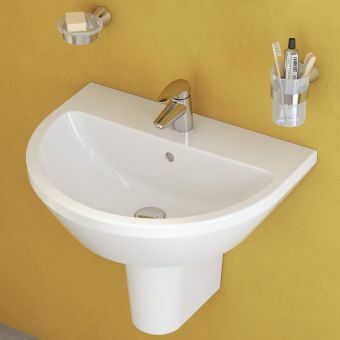 Taps pictured not included in price.